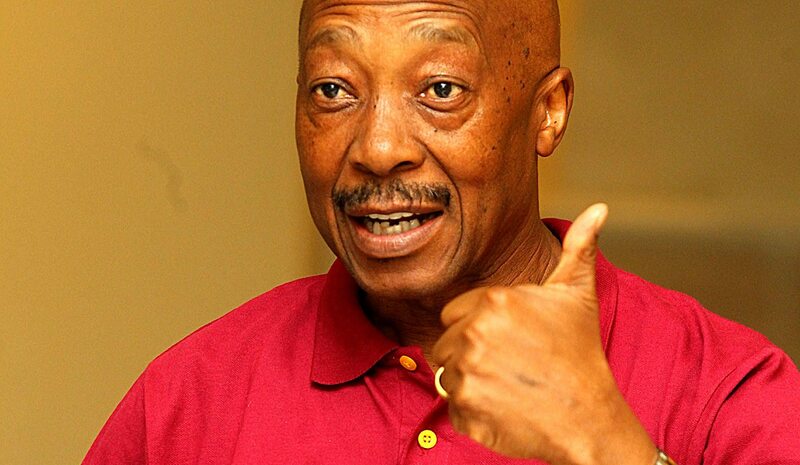 The South African Revenue Service (SARS) has noted with some dismay the Daily Maverick report that SARS boss, Tom Moyane, paid an illegal VAT refund to the Guptas, and alleges irregular value-added tax (VAT) payments to Oakbay. By SANDILE MEMELA. SARS finds it necessary to address the unsubstantiated tone of the report published in Daily Maverick that suggests corruption and a dictatorial attitude on the part of Commissioner Tom Moyane that resulted in R70-million VAT repayments to Oakbay. SARS wishes to state categorically that the allegations linking Mr Moyane to the refund payment are malicious, disingenuous and part of the well-orchestrated agenda to discredit him. This agenda includes the narrative which hinges on the predictable and unproven assumption that Moyane is corrupt, is a lackey of the Guptas and must be “fired” from his job. On 22 May 2017, Oakbay escalated their complaint to Mr Moyane regarding the payment of a legitimate refund due to them. The escalation of complaints by taxpayers to the commissioner is a frequent occurrence and it is therefore disingenuous of Daily Maverick to cast aspersions on the SARS commissioner for receiving this particular complaint. As part of standard procedure, the Office of the Commissioner always escalates complaints to the relevant division. In this instance, the office of the SARS commissioner referred the complaint to the division which deals with taxpayer complaints, then to legal services. The referral to legal services was necessary because the complaint was about the interpretation of aspects of the VAT Act. The undeniable fact that must be stated unambiguously is that at no point did the SARS commissioner instruct any SARS employee on how to deal with the Oakbay matter. The referral of the complaint by the commissioner to other units of SARS was forwarded by his office as received by Oakbay, with no irregular action on his part. The legal department, led by Ms Refiloe Mokoena, which compromises experienced and well respected tax experts, had to provide a legal opinion as to whether or not the VAT Act allowed for the refund of the taxpayer to be paid into the Oakbay account or a third party account. Various views were exchanged among the legal experts in SARS and their leader Ms Mokoena but never with the commissioner. Mr Moyane was copied in on the email exchanges that took place among these experts, which is a norm in high-level matters, but he never intervened in these email exchanges, either for or against a particular view. The SARS commissioner has always maintained that our legal experts have to make decisions on matters of tax law. It is extremely malicious for the journalist to conclude that by being copied, he therefore agreed with Ms Mokoena’s view. In fact, the email quoted by the journalist proves precisely this point: that Ms Mokoena, as the head of legal services, made the final decision on the matter. This decision was then communicated to the division responsible for paying the refund. Interestingly and contrary to Daily Maverick’s uninformed view on tax matters, SARS had previously received a similar request that a VAT refund be paid into a third party account. In this case too the legal position adopted by SARS (was) that this could be done and was not illegal. The conclusion that the commissioner’s silence and his non-participation in the exchange of emails among legal experts amounts to agreement with one or other view is frankly absurd. In fact, Section 72 of the VAT Act gives the SARS commissioner powers to make such decisions, but in this case he did not use these powers – he wanted the experts to make a decision and advise him of their decision. Although Section 72 of the VAT Act refers to the commissioner, it does not mean literally that the commissioner must make such a decision. Section 5 of the VAT Act provides that the powers conferred by the VAT Act on the commissioner may be made by the commissioner or by any SARS official. Therefore, a decision in terms of Section 72 need not be made by the commissioner, and historically, officials in the legal division of SARS make decisions in terms of section 72. The application of section 72 of the Vat Act deals with unusual circumstances and there will inevitably be differing legal views and opinions on an issue. When there are differing legal views, someone has to make a decision. This final decision-making is the duty of the Chief Legal Officer. First, SARS has an obligation to pay a refund that is properly payable to a taxpayer. Second, when the peremptory requirement for a bank account belonging to the vendor was inserted in the VAT Act, the Memorandum on the Objects explained that the purpose was to limit fraud. The decision to permit the use of a third party’s banking account was taken in the above context. The journalist repeats her accusation that Commissioner Moyane instructed officials to pay the refund, but in her whole diatribe she has failed to produce any shred of evidence to support the obviously baseless assertion. Finally, anyone who has ever received a refund from SARS will know that the payment of a refund does not need the commissioner’s approval. In other words, once Ms Mokoena ruled on the matter it gets referred to the relevant department to ensure automatic payment. There is never any reason to inform the commissioner or any reason for him to approve anything. The above facts demonstrate the dismal but desperate attempt by Daily Maverick to implicate Mr Moyane in a matter that he handled within the law and in which he acted above reproach. It is for this reason that we have and will, again, lodge a formal complaint against Daily Maverick for its biased reporting that has neither factual basis nor truthfulness. Sandile Memela is a spokesperson at SARS.